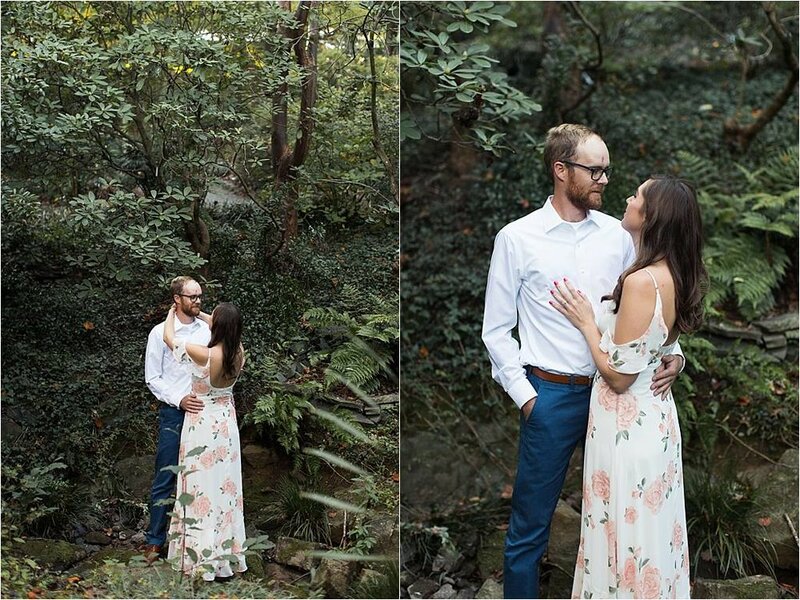 A couple rain delays couldn't stop this couple from getting the most perfect engagement session ever! 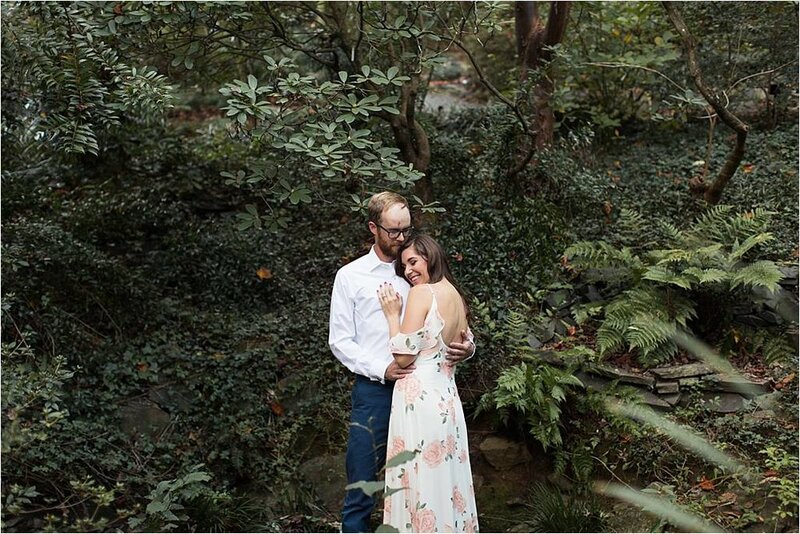 We bounced around a couple locations and finally decided on the UNCC Botanical Gardens. It's a great hidden treasure sitting right next to campus. We had such fun time just dancing and wandering around the gardens. Jenn + Cameron met online but soon discovered they had lots of mutual friends, and in fact had met once before in college. To say the were meant to be is an understatement. 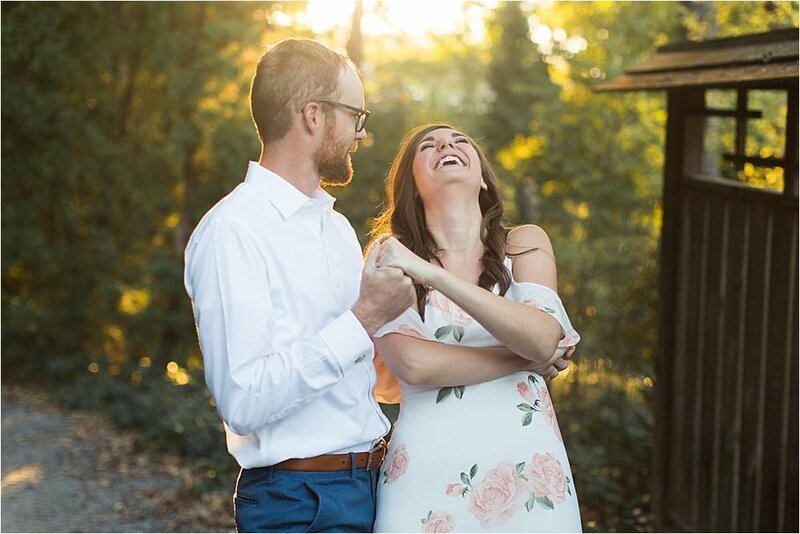 I can't wait to photograph their big day in April, Jenn is going to be the most beautiful bride!